Posted June 28th, 2013 by alexa & filed under Families. 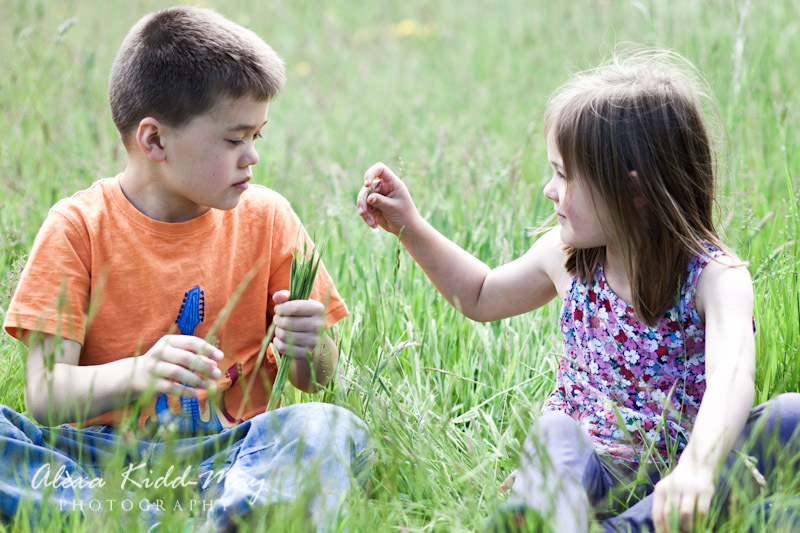 I had such a wonderful time taking some playful, natural photographs of this delightful family. 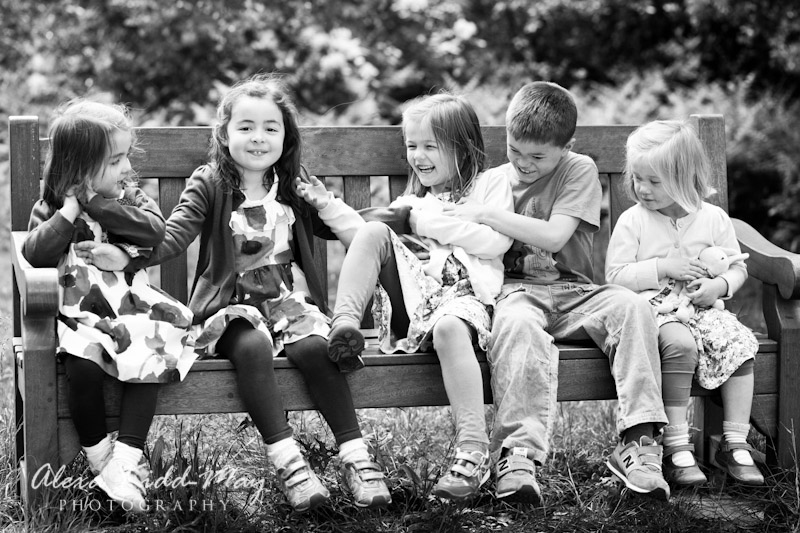 The five cousins had got together to play in their local park in West London. 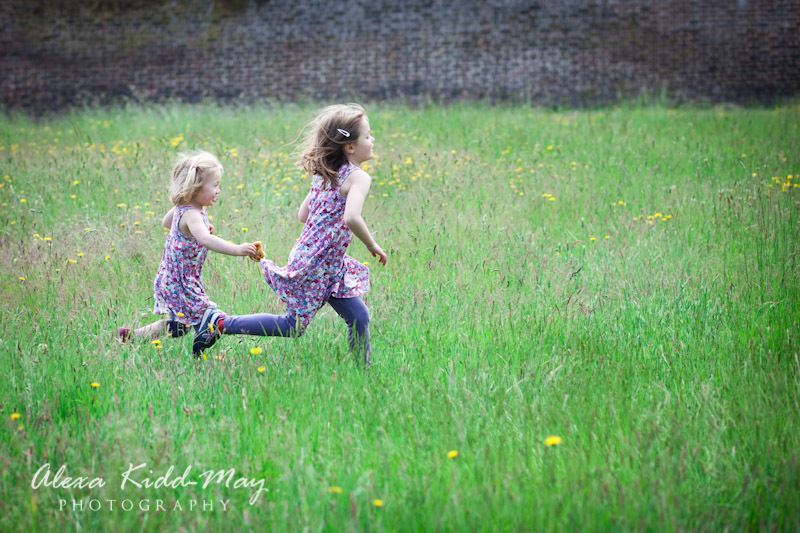 We got some lovely photographs of the girls streaming through the long grass chasing each other. 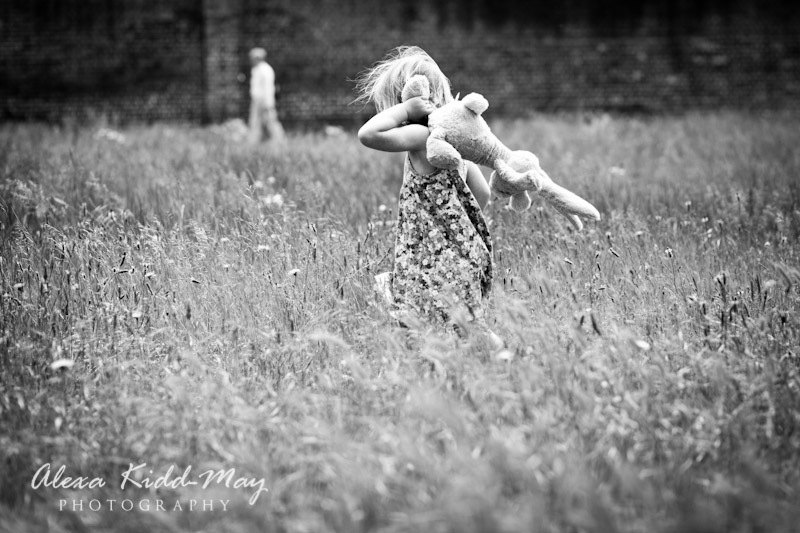 I often encourage kids to bring a small toy to play with to keep the whole shoot natural and fun. 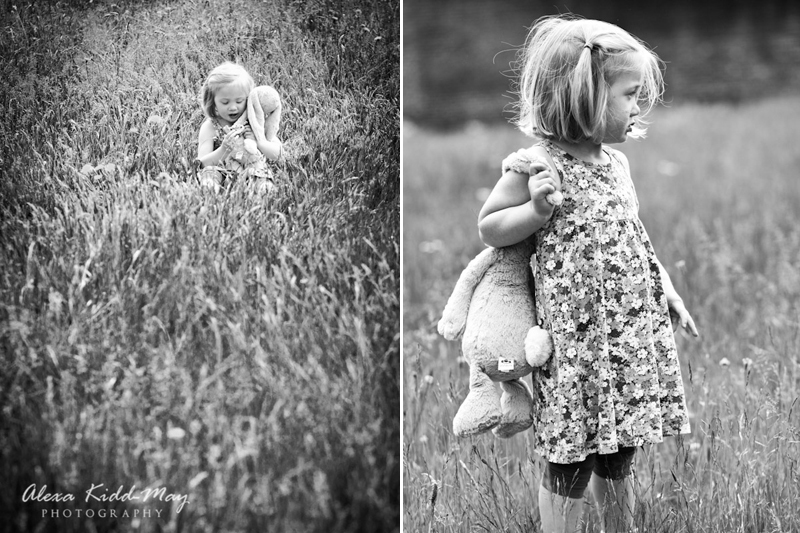 One of the little girls brought her favourite toy bunny and watching her clutching it casually behind her made a gorgeous shot to frame. 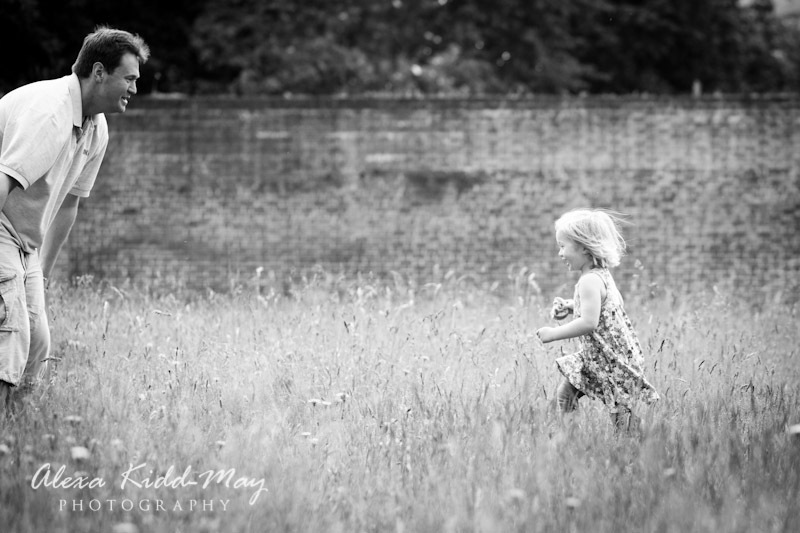 We spent much less time on the formal family portrait photography and more on capturing the genuine moments of playfulness that the kids love so much. 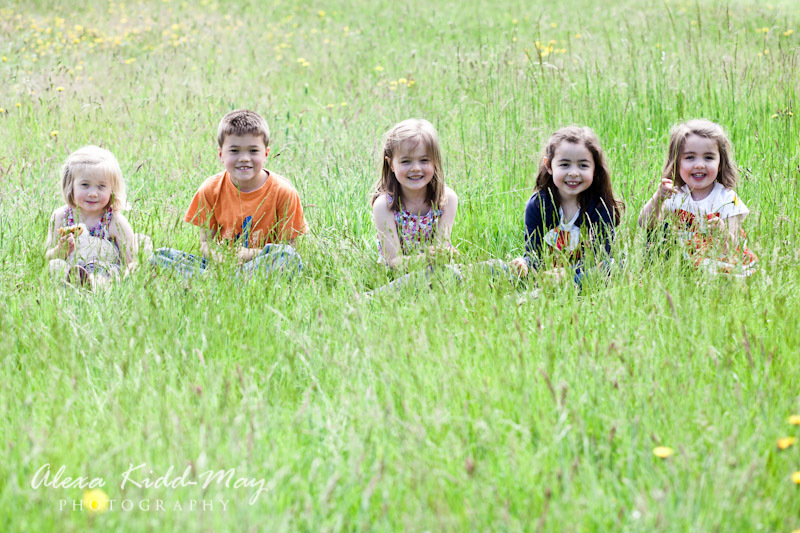 I love the first photo in the blog post, where we managed to get all five cousins to sit down in a line to capture an informal portrait of them all together playing with the long grass. I managed to get a few frames before one of the older girls decided it was time to break free and took off at top speed with her hand in the air! I’m so glad I managed to catch the moment she made her bid for freedom. 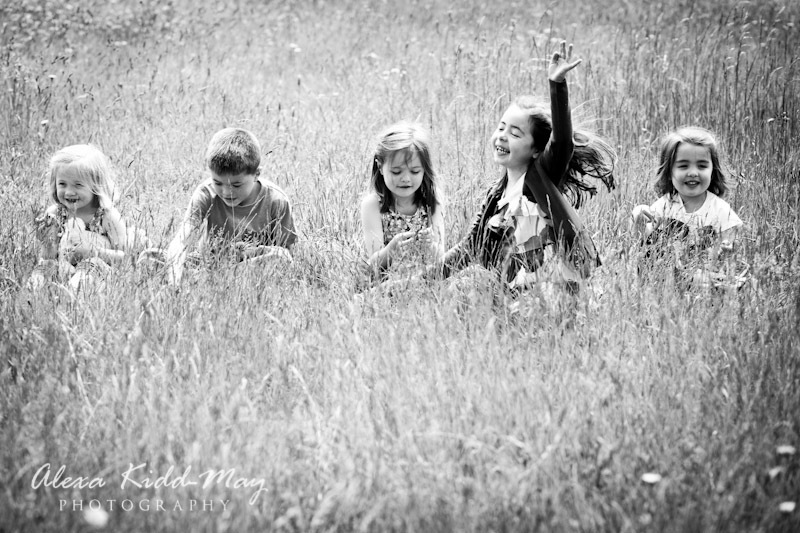 It turned out to be one of my favourite images from this family photography session with the five cousins. I also really like the second photo down in the blog. It’s such a touching moment between two of the cousins, who obviously have such a strong bond. 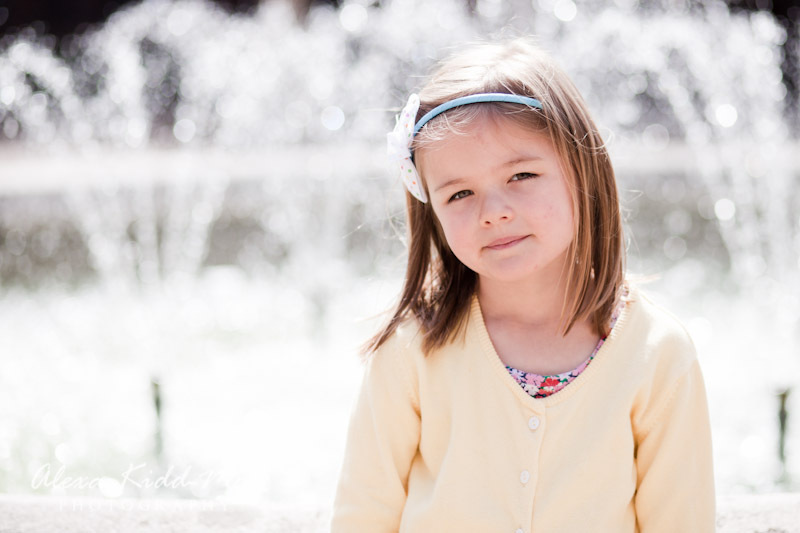 If you’re interested in an extended family photography session please do get in touch. 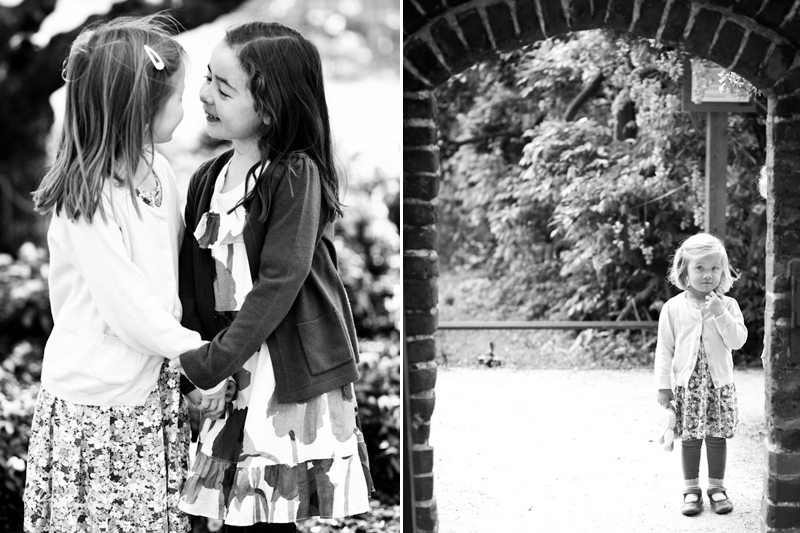 I’m really happy to photograph your family with cousins, aunts, uncles, grandparents. It will so lovely for all the family to look back at these photos over the years to come and remember what fun they all had growing up together.